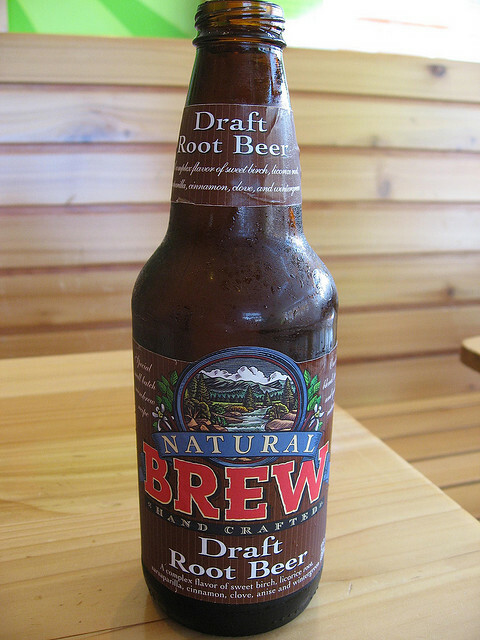 Conclusion: Natural Brew Draft Root Beer is the definition of falling short of potential. It has all the right ingredients but they are just not combined into a compelling beverage. I usually like a smooth vanilla favoring root beer but this one just tastes weak. Combine that with the strange sour smell and this brew is one that likely won’t be in my fridge again. Too bad because I like the idea of a brew made with mostly natural ingredients. Bottle and Label: Red Ribbon Root Beer has a clear bottle and simple, nondescript label. Ingredients: Filtered carbonated water, sugar, natural and artificial flavor, citric acid, caramel color. Smell: Not very strong smelling from the bottle. The only smell I can really distinguish is licorice. After being poured, the licorice smell is very strong. Carbonation: Very lightly carbonated and it makes this brew seem flat. The only place it really bites is on top-back of the mouth whereas in most brews the carbonation is at least evident on the tip of the tongue too. Color: Dark brown, almost black when viewed at certain angles. Head: Short, not very foamy, head that dissipates quickly. Flavor: Red Ribbon Root Beer has a flavor that matches the carbonation. Flat. There are some hints of caramel/vanilla that come through, but other than that, nothing. The flavor seems watered down and weak. There are some traditional root beer elements to the flavor, but they are so weak that it can’t really be enjoyed. On the plus side, the lack of flavor also comes with a lack of bitterness and a good mouth feel. If you only judge a good brew on the two latter points, you might like this one. Conclusion: Red Ribbon Root Beer is a brew that is easy for me to give a low mark. The head was not great, the carbonation was flat, the flavor was lacking, and even the smell was a bit off. While some might like the slight caramel flavor present in this brew, the lack of rootieness will be enough to keep most people away. With most brews I can see how some people could like them even if I don’t. However, this is one brew that I would recommend passing on if you come across it. Bottle and Label: Bottle is brown with some good looking raised lettering. The picture of a cowboy with a six-shooter is a nice touch and makes this bottle easy to spot on crowded shelves. Ingredients: Purified carbonated water, high fructose corn syrup, and/or pure cane sugar, caramel color, sodium benzoate (as a preservative), natural and artificial flavor, citric acid. 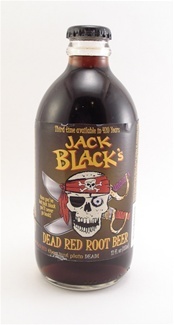 Carbonation: Very little carbonation makes the root beer taste flat, even right out of the bottle. Even though I like a smooth drink, this one lacks almost any bite. Head: Outstanding head of foam. This root beer has the best head I have seen so far. If you like a foamy, frothy root beer this one would certainly fit your bill. Flavor: Unfortunately, the strong smell does not carry over to the flavor. This is a smooth brew with no bitter after taste. However, it is also on the weak side. It lacks the strong, traditional root beer flavor that I prefer. Imagine taking a can of regular root beer, letting it sit open for a day, and then adding some water to it. That is the way I feel about the flavor of Sioux City Root Beer. Conclusion: This is one of the few brews that I have tasted that I see very few redeeming qualities about. There are some root beers that I may not necessarily like, but are unique enough for me to appreciate. Sioux City Root Beer lacks anything to really set it apart from the crowd, and it’s watered down flavor makes it impossible for me to recommend (unless you like watered down root beer).